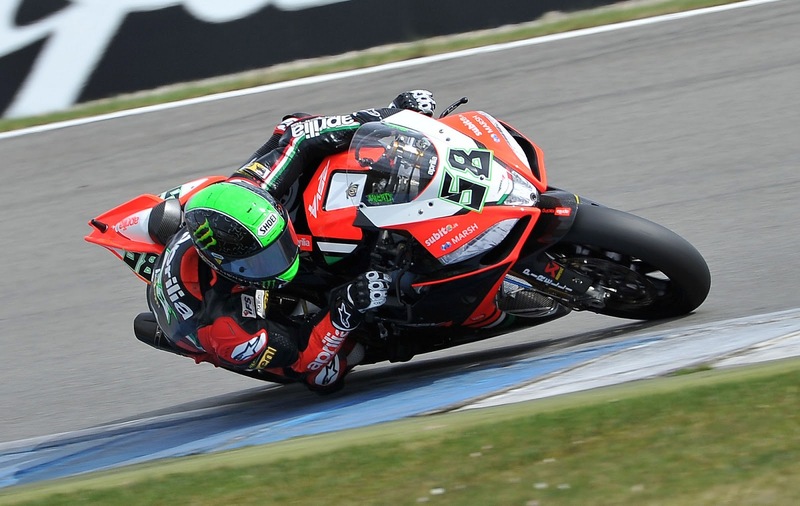 Eugene Laverty is expecting a difficult race day at Assen tomorrow after qualifying on the front row in dry conditions. Laverty’s second position will be his seventh consecutive front row start since Moscow in 2012. Showing impressive drive in Superpole 3 this afternoon, Laverty did his best to keep up with Sykes and Rea who are on scorching form. The 26 year old is apprehensive ahead of the race tomorrow due to lack of dry track time following a washout on Friday. Laverty’s time of 1.35.814 was only 0.771 seconds off Sykes’ time. Laverty revealed “I’m really happy to be on the front row. Today I thought it would be difficult after the free practice sessions because, besides Sykes and myself, Rea and Sylvain were also quite quick. In the end when Tom puts the qualifying tyre on he’s basically unbeatable and Jonny put in a perfect lap, so I’ll be starting from the third spot on the grid. Tomorrow the races will also be difficult since today is the only day we’ve been able to test in the dry. Understanding how the tyres will perform and how to manage them over the race distance will make the difference. We’ll have some work to do this evening and during the warm ups tomorrow morning to be ready for the starting grid”. World Championship leader Sylvain Guintoli qualified just one position behind his teammate in fourth position. The French rider hasn’t finished outside of the top two in all races this season and will hope to defend his championship lead of 22 points this weekend. Guintoli has fast pace in the wet and the dry this weekend so is confident ahead of the race. Sylvain said “This time I was just a shout from the front row. My feeling with the qualifying tyre is getting better with each race. I’m really happy in any case, as it is always important to start from the front two rows. I’m right behind Tom, who is a strong starter, so I’ll just need to follow him and then overtake him! All joking aside, I’m confident for tomorrow. Usually my pace gets better during the race compared to qualifying sessions, as we saw at Phillip Island and Aragon. Let’s hope the final result will also be similar”.